Leading mobile phone maker Samsung Electronics made official the release of its brand new smartphone, the Samsung Galaxy S II, powered by Google’s Android Operating System, at the Mobile World Congress 2011 (MWC 2011) in Barcelona. The latest smartphone rolls in a thin design measuring just 8.49mm, sporting a large touchscreen display, a powerful dual core app processor and a 3D user interface. As rumored before, the Samsung Galaxy S II goes official with Google’s Android 2.3 Gingerbread Operating System, access to Samsung’s content and entertainment hubs, glowing in music, games, e-reading and not to forget, the social networking services. In 2011, we will take Samsung’s leadership in Speed, Screen and Content to a whole new level. 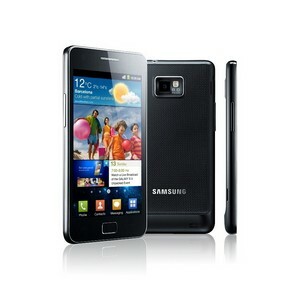 With the GALAXY S II, Samsung wants to set the new standard of quality viewing on mobile, powerful performance, and slim and modern design. GALAXY S II is a natural and powerful evolution of GALAXY S. Building on the phenomenal success of the original Samsung GALAXY S, we are proud to unveil the ultimate smartphone. Consumers no longer have to contain themselves – the Samsung GALAXY S II allows them to design their own smart lives.